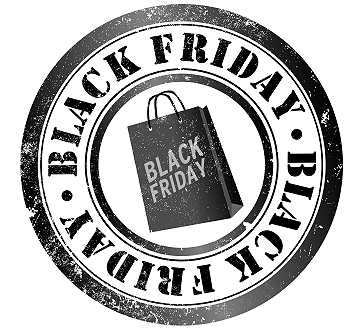 This is Black Friday, the traditional kick off to the race to Christmas for retailers. But this year, those traditional delineation lines have been all but erased. This year it seems that the Christmas shopping season kicked off in late October, just about the time Halloween costumes went on the clearance rack. Forget the other events in November like Veteran's Day and Thanksgiving. November in 2013 did not exist. December came after October and has 61 days. The driver of all of this is the uncertainty in the economy. Retailers know that they better grab Christmas gift dollars while they can because there are bad things looming in terms of jobs. The determined undoing of the healthcare system - with a lack of a plausible plan to replace it – has been one of the biggest contributors to the feelings of insecurity. It has redefined who qualifies as a full time employee, thus slashing the hours of full time jobs to ensure they don’t exceed the part time mandate and qualify for benefits. This combined with the very sluggish recovery (if it doesn’t grow, can it be considered recovery? ), and laws that seem to change with every political speech – it all adds up to the kind of ambiguity that kills job growth. So how do you, who are charged with marketing, take on the times in which we live with any certainty you will be successful? Here are a few tips. One of the best things you can do is to make sure your marketing is hitting the target. Most companies don’t have the stomach to wait on marketing to be a long-term proposition. You have to measure what you are doing and the impact it is having on your sales. What is the level of engagement with a potential customer as a result of your marketing? This is where the new media is good. In real time I can see who is taking a look at our e-marketing efforts. The key in any pursuit is timing. Particularly with e-marketing, the follow up sales call needs to happen quickly. The sooner you can make that call, the sooner you will convert marketing to sales. If you are in an industry where there is give and take on what the customer chooses to buy from you, understand that you will have to get to your best offer sooner than you might traditionally. Let me explain. If I go to a tire store and I say I want to replace my two back tires, I expect the salesman will try to sell me four tires instead of two. It is really my choice to decide how many tires to replace. After some discussion, he might tell me he would offer me four tires for the price of three. In today’s economy, I would make that a point of marketing to everyone coming into the tire store. Forget the haggling. There was a time when need would determine sales like tires. Times are hard enough that even the needs are being put off. You have to market your best offer up front. Software companies made a name for their products with bundling. Think of Microsoft Office Suite. It debuted nearly 25 years ago and packaged Word, Excel, Power Point, Outlook and a smattering of other products in one box. You could not purchase one without the other. It was a way for Microsoft to get the consumer to try software they probably would not without it being grouped with its most popular products. In the mind of the consumer, they are getting a bargain. The same thinking still works. If you assess the needs of clients and they need three items and can only afford two, promote the bundle as a way to give the customer everything they want. What about margins? This is very important. In bundling, you have to be able to move more product as a group than you would by selling them individually. In any selling proposition, there are costs associated with making the sale. There are savings of those costs when you sell as a group. Figure this into the bundling pricing equation. There is a strange thing that can happen in hard times within companies. The seeking of new customers can sometimes leave your current customers feeling neglected. They begin to search for someone else to meet their needs. In hard times, retaining clients is paramount to your survival. You have to market to them. Retention marketing involves three general areas where marketing must be happening (and sometimes a fourth). These are great prices, quality products or services, and stellar customer service. The fourth area is timeliness, which impacts some industries more than others. (See the article, The three legged stool of retaining customers). Make sure you are touching them and giving them a reason to keep coming back to you. For instance, if you can run specials for your current customers, it goes a long way in making sure you are retaining them for the long run. Understand that price is not the end-all of marketing. It is important and, in the economic times in which we live, it seems like it is the only thing. But you also have to turn a buck, so make sure that price is not everything. You have to market quality and your follow up services have to be on top of any problems. Consumers expect quality at a good price. They demand that you fix any problems. It is all a part of the expectation equation. Market to these expectations. Smart marketing can help your company survive the hard times we are experiencing. Understand that the traditional selling lines are being challenged. The main thing is to stay on top of what is happening and be ready to shift your marketing efforts to adjust to these changes.